Proudly display safety messages and your days without accident record for two departments on this medium sized safety scoreboard. Customize it easily online! 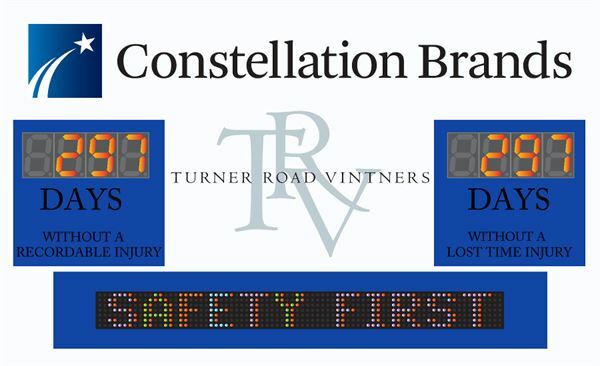 Keeping employees informed about their current safety count can go a long way to support a continuously improving, effective safety culture. This sign features two four digit 2.3" displays which can be used to display the current record and a previous record or the current records of two different departments simultaneously. Each counter module operates independently but both can be controlled with a single remote without the need to cover any sensors. 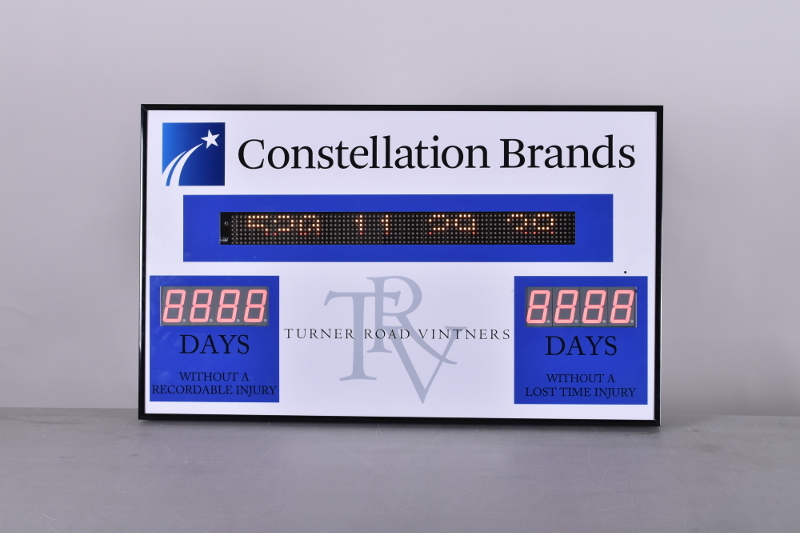 Use our online designer to customize this sign to your needs and we'll configure the counters to operate in the mode most suitable based on your design. Rest assured all modules are user configurable at any time.